It has been observed that one of the hardest paths in life to travel is to be the offspring of a famous parent. History is replete with cases of sons who struggled to escape the shadow of a father who was a giant in their particular field of endeavor. Some were destroyed by that struggle, and had short, unsuccessful lives. Others managed to survive, frequently by choosing a different field to their father and excelling in that. A very few succeeded in matching their father’s achievements, perhaps even surpassing them. Here are 10 sons who may or may not have succeeded in their chosen field, but nevertheless remain hidden in their father’s shadow. Pepin was the eldest son of Charlemagne, King of the Franks and later the first Holy Roman Emperor, the man who created the Frankish Empire and laid the foundations of modern France. Pepin was the product of his father’s relationship with Himiltrude, a noblewoman who may or may not have been his legal wife. After Charlemagne contracted a political marriage with the daughter of the King of the Lombards, Himiltrude was cast off, and as a result Pepin’s legitimacy was cast into doubt. He was already under a cloud because of the congenital spinal deformity that gave him his nickname. It was probably no surprise to anyone when in 780, Charlemagne formally disinherited Pepin and made his third son, Carloman, his legal heir. 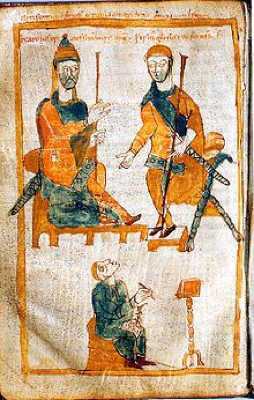 However, Charlemagne must have still had some affection for his eldest son, and he was allowed to remain at court, and even given precedence over his brothers at official occasions. However, Pepin was much less enamored of his father, and plotted with rebellious barons to murder his father and brothers and seize the throne. The plot was exposed by an informer and the conspirators, including Pepin, were arrested and tried. The nobles were executed, but because of his royal blood Pepin was spared and allowed to enter a monastery, where he stayed for the rest of his life. The eldest son of Christopher Columbus spent much of his life trying to win back the entitlements his father had lost after being stripped of his title as Governor of the Indies and sent back to Spain in chains in 1500. Just 12 years old when his father made his historic voyage in 1492, Diego followed his father into a maritime career, eventually becoming Admiral of the Indies. 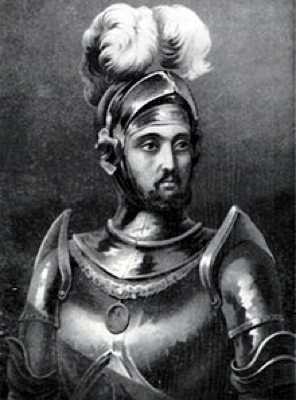 Having made a very fortunate marriage into the well-connected family of the Duke of Alba, he was able to regain his father’s title of the Governor of the Indies in 1509. He was made Viceroy of the Indies in 1511, but proved ultimately unsuccessful in rehabilitating his father’s reputation with the Spanish court. His record was somewhat tarnished by a major slave revolt in Santo Domingo (now the Dominican Republic) in 1522, and he died without fulfilling his ambition to recover his father’s entitlements. His son Luis eventually renounced the family’s claims in return for estates and titles in Jamaica and Panama. 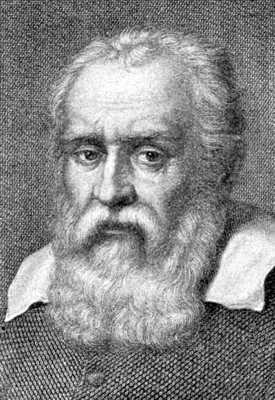 The illegitimate son of Galileo and his mistress Marina Gamba did not follow his father into the sciences. Rather his life’s interest was in the arts. Born in Padua, he was legitimized by his father in 1619. His father enrolled him to study law at the University of Padua, but poetry and music were his passions and he became a skilled player of the lute. He also gained a reputation as an inventor, particularly of musical instruments. His relationship with his father was a stormy one. They quarreled frequently about money, however, he staunchly supported his father when Galileo was under attack by the Church. He became his father’s major support during the later years of Galileo’s life when the famous scientist was crippled by ill-health and debt, but he himself died while still quite young in 1649. The ninth son of Johann Sebastian Bach is generally regarded as the most talented of the great composer’s offspring. Born in Leipzig of Bach’s second marriage, to Anna Wilcke, he was a precocious talent, and was taught music by his father from a very early age. He developed into an outstanding keyboard player. 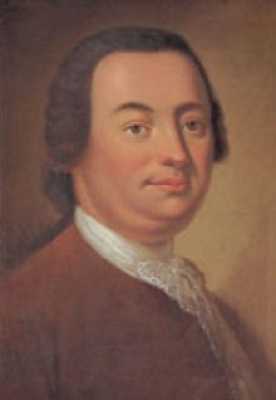 In 1750, still only a teenager, he was appointed as chief harpsichordist to the household of Count Wilhlem von Schaumberg-Lippe, and began his composing career. He composed numerous sonatas, oratorios and symphonies, as well as opera and choir music. While none of his work has attained the fame of his illustrious parent, modern experts hold his music in high regard, and regret that so much of his output was lost when the Institute for Music in Berlin where manuscripts of much of his work were held was destroyed during WWII. He married the opera singer Lucia Munchausen in 1755, and his son Wilhelm in turn went on to become a significant composer in his own right. 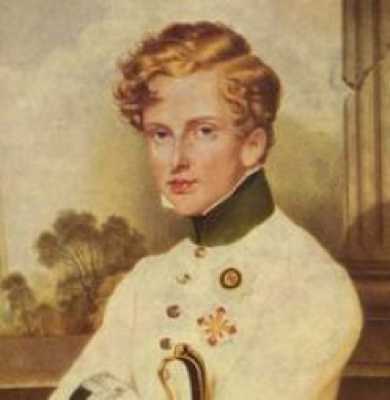 Napoleon’s only legitimate son, generally known to history as Napoleon II, was born to the Emperor’s second marriage to Marie-Louise of Austria. From birth he was titled the King of Rome and was designated as his father’s heir-apparent. He grew up as his father’s Empire was crumbling. At the age of only 3, he briefly became titular Emperor after his father abdicated and went into exile on Alba. Following his father’s final defeat at Waterloo, he went into exile in Austria with his mother. He grew up in the Austrian court and as a teenager was awarded the title Duke of Reichstadt. He lived quietly and evinced no interest in following his father’s footsteps. Tragically, he contracted tuberculosis and was dead shortly after his 21st birthday. In 1940 his remains were transferred by Hitler from Vienna to the Les Invalides in Paris where his father’s body had lain for exactly 100 years. In retrospect his one major contribution to history was that by his existence he forced his cousin to adopt the title Napoleon III rather than Napoleon II when he came to power in 1852. 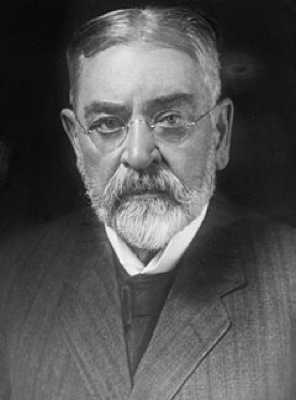 The only one of Abraham Lincoln’s sons to reach adulthood, Robert Lincoln has generally received negative reviews from historians, primarily because he failed to make a successful long-term career in politics. In addition, his personality, as described from contemporaries, was very distant from his father’s generosity of spirit. He was variously described as selfish, abrasive and argumentative. He certainly had a difficult relationship with both his parents, perhaps feeling that they preferred his ill-fated brother Willie, who died young. However, he is recorded as weeping copiously beside his father’s deathbed. He resented his mother’s efforts to keep him out of the Union army until the very end of the Civil War, and they later became completely estranged. It is not known whether the son of perhaps the greatest U.S. President ever had presidential ambitions himself. He certainly did decline a number of offers to be vice-presidential running mate to various candidates, perhaps believing that they were simply trying to cash in on his famous name. His only major political office was as James Garfield’s Secretary of War from 1881-1885. Afterwards, apart from a stint as US ambassador to England from 1889-1893, he retreated to his successful law practice. Contrary to his image as a selfish and self-involved personality, Lincoln was responsible for a number of charitable works, including establishing an industrial training school in Illinois, specifically aimed at helping underprivileged and abandoned boys. Sigmund Freud’s third son is a great example of the son of a great man making his mark in a different field from his father. Ernst declined to follow his father into medicine, and instead went on to become a noted architect. It has been speculated that the opprobrium Freud gained because of his theories of psychoanalysis could have been the reason why all of Freud’s children except his youngest daughter Anna opted not to follow their father into his field. 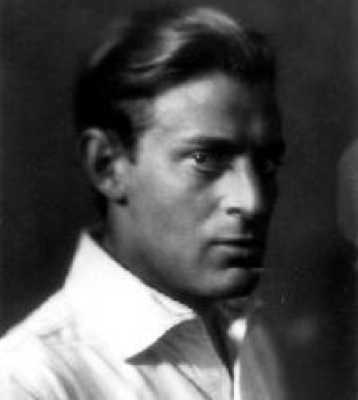 In the event Ernst gained a solid reputation as an architect in the era of Art Deco. He opened his practice in Berlin in 1920. Ironically, having rejected medicine, he specialized in designing consulting rooms and surgeries for doctors. During the 1930’s he became acquainted with the famous Berlin architect Mies van der Rohe, a member of the Bauhaus group, and was influenced by his style. When the Nazis came to power he fled to London, where he continued to practice, designing a number of houses and apartment buildings. He was reunited with his parents when they fled to London also after the Austrian Anschluss. He became a naturalized British subject in 1939. Two of his sons became famous in their own right, Clement as a chef, TV personality and politician and Lucian as an artist. Another example of a son becoming successful in a different field from his father, Einstein’s elder son became an expert in the obscure field of sediment transport and went on to become a noted academic in his own right. Born while his father was still a clerk in the Swiss patent office, Hans went on to study at the same institution as his father, the Swiss federal Institute of Technology in Zurich. He became a civil engineer and began working on a bridge being constructed in Dortmund, Germany. Following this he returned to study and obtained his doctorate in 1936, which began his interest in sediment transport. 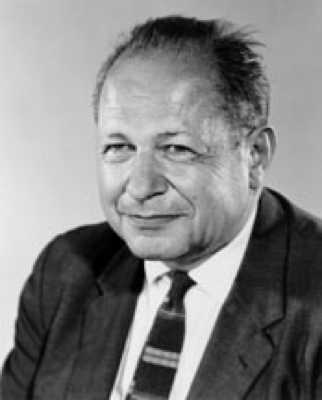 After emigrating to the US in 1938, he settled in Greenville, North Carolina and obtained a job with the Department of Agriculture, before moving to California and a position as Associate Professor of Hydraulic Engineering at the University of California Berkeley. He became a world recognized expert in the field of hydraulic engineering. Albert Einstein was once quoted as saying that his son’s success in his chosen field was one of the things in his life he was most proud of. After his death, Hans Albert was honored by the American Society of Civil Engineers creating the Hans Albert Einstein Award for achievement in the fields of sedimentation and erosion control. 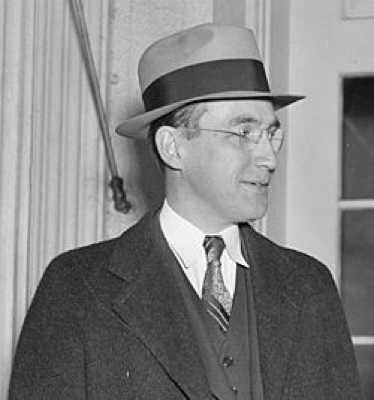 The oldest son of Franklin D Roosevelt went on to have a successful political career of his own, but generally spent his life in the shadow of his famous father. Roosevelt followed his father to Harvard and eventually started a successful insurance business, but the pull of political office proved too strong and in 1937 he became his father’s administrative assistant and then Secretary to the President. He had already done campaign work for the Democrats as far back as 1924 and headed his father’s campaign in the Massachusetts primary of 1932. However his initial foray into politics was short-lived. He was accused of improperly using his position to gain business for his insurance firm. He denied the allegations but resigned anyway. A stint in Hollywood as an assistant to Samuel Goldwyn was followed by an unsuccessful attempt to start his own movie production business. With the advent of war in 1939 he joined the Marine Corps and became a military attaché to the British forces in Syria. When the US entered the war in 1941, he went into active service and fought at Midway and other battles in the Pacific. Leaving the service as a Colonel after the death of his father in 1945, Roosevelt went back into politics. He failed in a bid for California Governor in 1950, but was elected to Congress in 1954. He became a leading campaigner against McCarthyism and led the fight to deny congressional funds to the House Un-American Activities Committee. He retired from Congress in 1965 after President Johnson appointed him as a delegate to UNESCO. He surprised everyone by supporting Nixon’s re-election in 1972 and the election of Reagan in 1980, arguing that both candidates were better for the nation than the Democrats they were running against. The only son of Winston Churchill is a tragic example of a son who was completely unable to come to terms with his father’s legacy and was eventually destroyed by it. As a child he was thoroughly spoilt by his doting parents and grew up as a brash, argumentative and opinionated individual. He lacked his father’s charm and ability to inspire loyalty. He was nevertheless very good-looking and had no trouble attracting women. Throughout his life he remained a compulsive womanizer, which destroyed his two marriages. Politically ambitious from an early age, he announced that he would be Prime Minister one day, even before his father had attained that office. But his initial efforts to gain a seat in Parliament were unavailing. 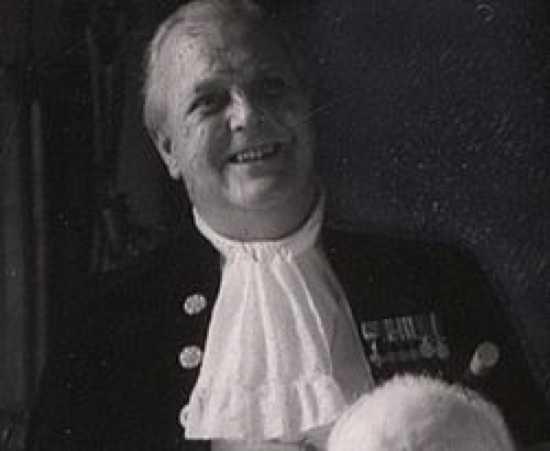 He lost two attempts at election before finally being pre-selected in a seat where he was unopposed and thus entering Parliament as the member for Preston in 1940. He was generally disliked by his fellow MPs however and was not considered for higher office. The crushing blow came when he was not considered as a member of his father’s war cabinet. Frustrated, he volunteered for military service and served bravely as a commando, being dropped behind enemy lines in Libya and Yugoslavia despite his father’s misgivings, who feared his capture would be used as propaganda by the Nazis. After the war he lost his seat in the 1945 election rout of the Conservatives and was never able to regain entry to Parliament despite many attempts. With his political ambitions ended, he turned to writing to make his mark. Despite growing problems with alcohol and the failure of his marriages, he became a successful author & journalist. Just before his father’s death in 1965, he was granted the right to author Winston’s biography, which he was sure would be the high point of his literary legacy. However ill-health prevented him from completing the work, and only two volumes were finished when he died alone in his flat in 1968.